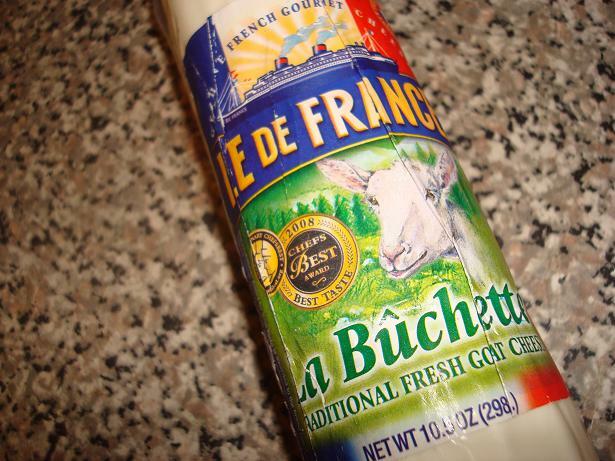 The very generous folks at Il de France sent me another block of creamy, delicious goat cheese. Goat cheese is a tart creamy cheese. 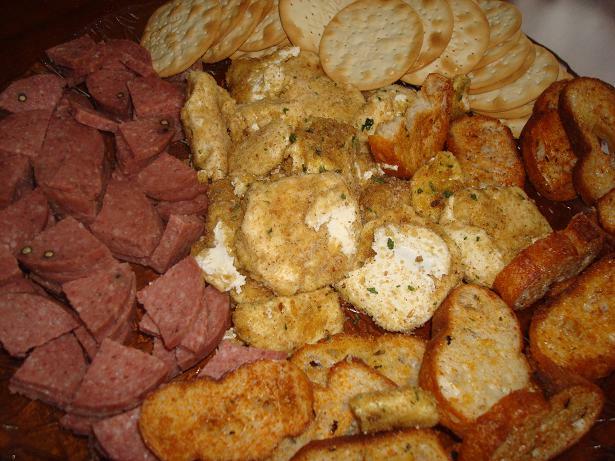 Texture is a little like feta and the flavor is kind of like a sour cream cheese… that doesnt sound very appetizing but its really delicious! If anyone knows a better description for it- I am all ears! I recieved it in time for thanksgiving and since I was already making baked brie I thought I would give the goat cheese a chance… and the best part is that most of my fam never even had goat cheese before so this was going to turn some people into lovers. I googled goat cheese appetizers and the first hit I got was from David Lebovitz’s website. It didnt go into great detail but he mentioned BAKED GOAT CHEESE. Sounds good right? I made a few tweaks to the recipe and bought some garlic crostini and prepared to make eyes roll back behind their heads in delight. 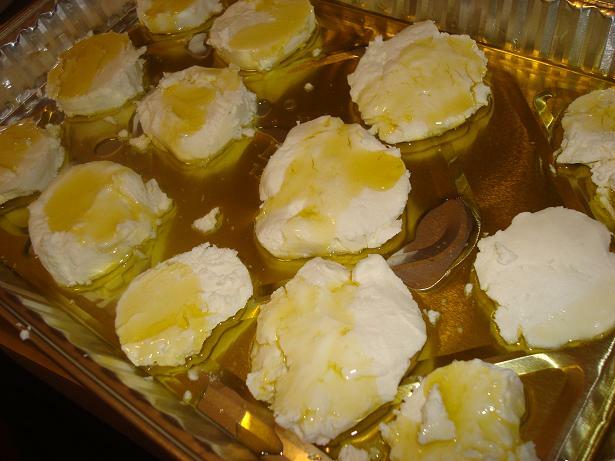 First, marinate the goat cheese in olive oil. I marinated mine overnight- this helps the breading stick. Did you get excited when i said breading??? I cut the goat cheese into rounds which was a little bit difficult since i figured the cheese should be cold when i cut it. it broke off wherever it felt like it despite my sharp knife. Next time (oh yes there will be a next time) I will slice it at room temp. Okay. so you marinated your cheese. 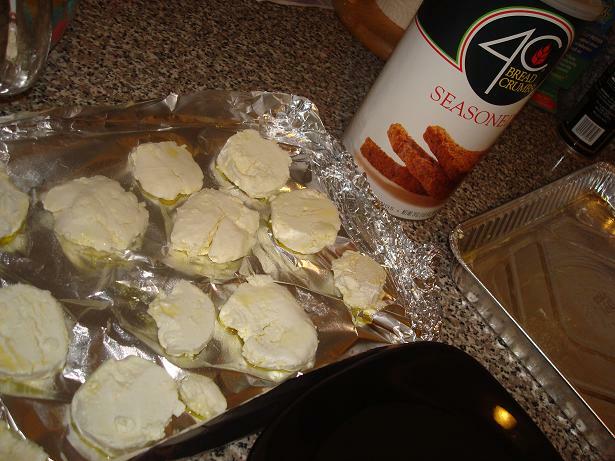 if you dont have time to marinate it you can just dip the cheese into the olive oil. 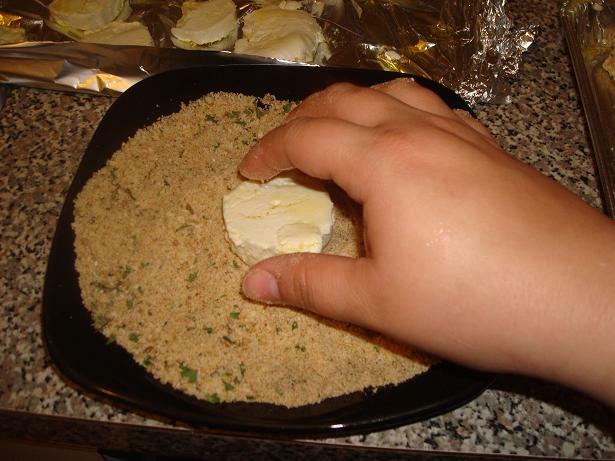 the oil is mainly to help the breading stick to the cheese. 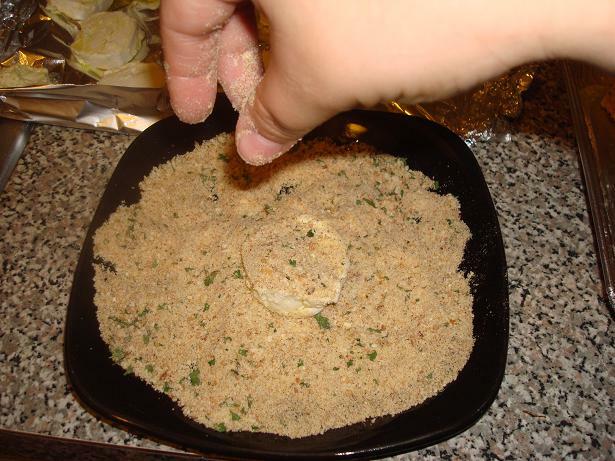 David Lebovitz used his homemade fancy bread crumbs, I used storebought seasoned bread crumbs with lots fresh black pepper. 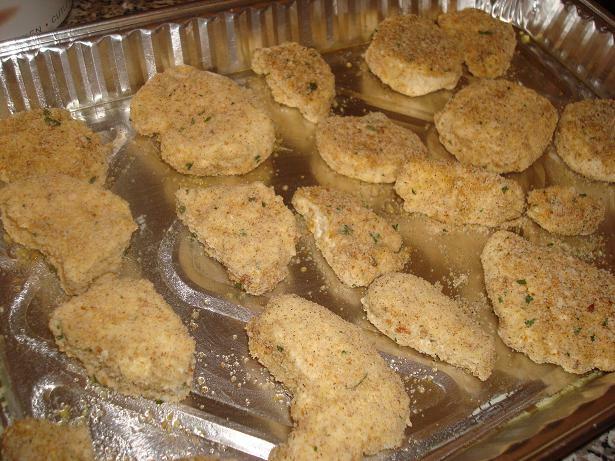 Place the breaded rounds on a baking sheet. ANYWAY, since it was thanksgiving day and the oven was being owned by the turkey and the brie was in the toaster oven, I placed my tray of goat cheese ontop of the toaster oven which was really hot on top! It was brilliant thinking on my part. the goat cheese warmed up lovely and was so well seasoned with bread crumbs and pepper! And my father, being the joker that he is… when i said ” Hey dad, hows the goat cheese?” quick at his wit he replied “Its not baa-aa-aad”. See more delicious bites from Turkey Day! I really liked how willy nilly you were with the shapes – I still have one more log of this stuff – maybe I will try this – it sounds good. I swear just reading the title of this post made my heart skip a beat. yum!! I love goat cheese. Oh who am I kidding – I love all cheese! Slice the goat cheese cold with fishing line. This works much better than a knife. You can elevate the cheese off the counter by placing some plastic wrap over a piece of tupperware and slice down with the fishing line.